Mark Light — who runs the company that owns Kay Jewellers, Zales and Jared’s Galleria — is having a particularly hard few weeks. It started when Buzzfeed published a story about women across the US who believe that the diamonds in their engagement rings are being switched out when they have been sent for resizing or repair. 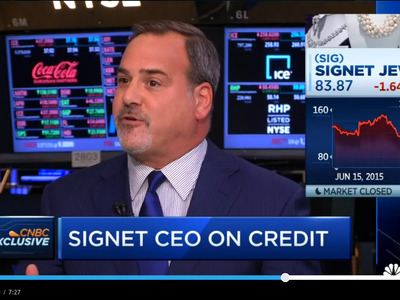 After that, Grant’s Interest Rate Observer published its view on the parent company — called Signet — which raised problems with its credit facility. Jim Grant thinks it’s losing more money than the company is willing to admit by selling to customers with low credit. He also thinks the company is using an accounting method that doesn’t reflect delinquency of customer payments, and that it is partially making up for this by aggressively selling customers extended service plans (ESPs) they don’t really understand. Signet’s shares have plunged in the wake of all this, losing about 22% of their value in the past month. And so, Light sat down to some interviews. He assured CNBC’s Kelly Evans that his company operates at the highest ethical standard. He told Bloomberg that his company was experiencing a “targeted attack” from short sellers, and that it would be doing more promotional sales to get customers in the door. He also said only 0.02% of his customers complain, but that those who did were owed and apology and that every case is handled individually. Now, in those responses there were a few answers to questions that we had. But not every one. And while it proved difficult — we had some back and forth, including a canceled visit to BI by Light after we showed them our questions in advance — we got some answers. A few things we found; The company won’t say how the 4 million products entering and leaving its repair facilities annually are monitored and recorded — just that there is a process. 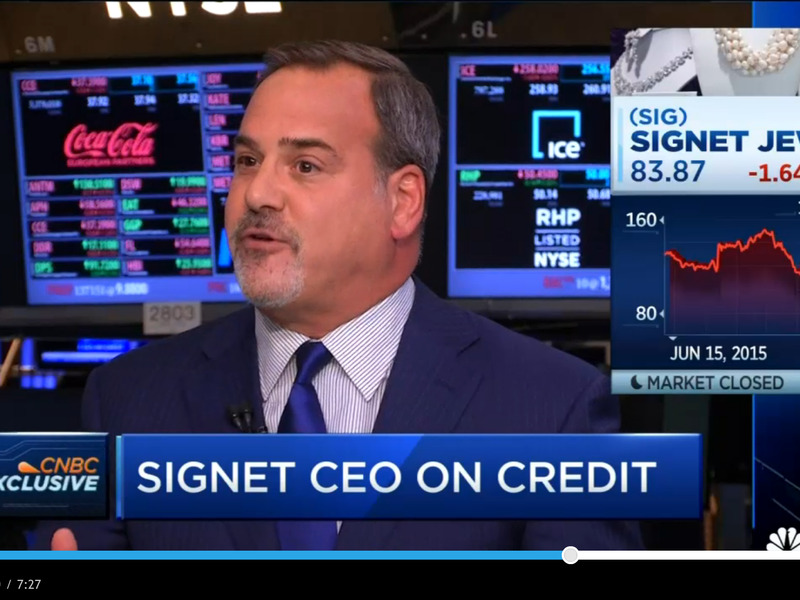 But they did discuss a little bit more about Signet’s warranty programs and in-house credit rating system for customers. The rating system takes into account a customer’s FICO score among other proprietary metrics. The company also won’t comment on what its same store sales will look like if it sold its credit facility. It said that to do so would be speculation. It has, however, hired Goldman Sachs to appraise its credit facility for a potential sale, according to Light’s CNBC interview. So perhaps we’ll know that soon. Business Insider (BI): Do you own and operate all the facilities where your jewellery is taken for cleaning and repairs? Signet (SIG): With the exception of specialty and some branded warranty work, virtually all of our millions of Signet jewellery repairs each year are completed at our Design & Service Centres by our in-house teams comprised of Signet team members. BI: How are the facilities monitored and how are the products that go in and out of them monitored and recorded? SIG: For security reasons, we’re unable to disclose how facilities are monitored; however, there are sophisticated multi-step quality and inventory control steps in place. BI: How many items on average do you see go through your repair facility per quarter? SIG: There are approximately 4 million items serviced on an annual basis. BI: Do you charge to re-size your rings? Have you always charged to resize your rings? SIG: With some exceptions, Signet has a first-time ring sizing policy in which the customer would pay for the initial sizing, if needed, and any subsequent sizings. However, when customers purchase an Extended Service Plan, the initial and subsequent sizings are free of charge. BI: Your products come with a free warranty and an extended service plan (ESP), can you describe in detail the terms of both the warranty and the plan and what would compel customer to get one over the other? Diamond, ruby, sapphire and emerald products receive a free lifetime warranty against stone loss, however, an additional lifetime warranty (ESP) can be purchased which covers all repairs, sizings, etc. BI: Are your employees required or recommended to sell ESPs? Do they have a daily requirement? Monthly quota? SIG: Fine jewellery is an emotional purchase and frequently worn by customers on a daily basis. Customers are therefore encouraged to purchase an additional lifetime warranty to protect their purchase. 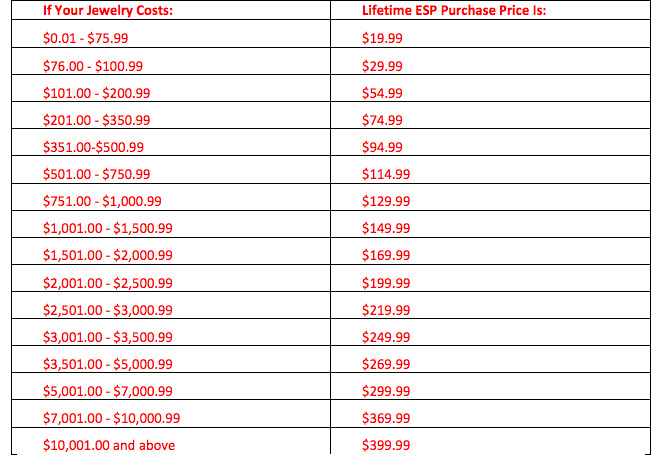 The Extended Service Plan (ESP) covers all repairs, sizings, etc., and is not limited to diamond, ruby, sapphire and emerald loss which is provided by the free lifetime warranty. BI: What other factors, if any, beyond FICO scores do you take in to account when deciding on the creditworthiness of a customer? SIG: Proprietary consumer credit scorecards exist for the in-house customer finance programs. The initial acceptance of customer finance arrangements is based on our proprietary consumer credit scores (i.e., scorecards) which were built based on our actual experience with our guests financed purchases over time. We build our models in partnership with the industry leaders in this space, such as FICO and Experian. BI: Are your employees required to make sales through your credit facility? Do they have a daily requirement? Monthly quota? SIG: No, our employees are not required to make sales through our credit facility. However, customers are encouraged to complete credit applications and open accounts as part of the sales presentation. BI: Can you tell me about your second look credit programs for potential customers? Is there a third look program? SIG: The second look program is related to certain Zale Division customers only. For background, in this program, Zale credit operations are managed by a third- party. Customers who may not be authorised within the primary bank’s creditprogram may be qualified against another secondary third-party credit authorizer. In an effort to reduce expenses incurred by the Zale secondary authorizer, Signet introduced the “second look,” in which the in-house credit operation reviews Zale’s customers’ applications which may not be approved by the primary third- party provider. Using its decades of science and intelligence in consumer lending behaviour, the in-house team of professionals is then able to help Zale capture profitable sales that might otherwise have been approved, but incurred at a higher expense. BI: Can you lay out the cost structure of your ESPs? BI: Do you have a running log of every time a client with an extended warranty goes to a store for their 6 month check in? SIG: Six-month check-ins are not required for ESPs, but are required for the free lifetime warranty, which are electronically tracked. BI: How would your average ticket look if your employees no longer sold ESP plans? 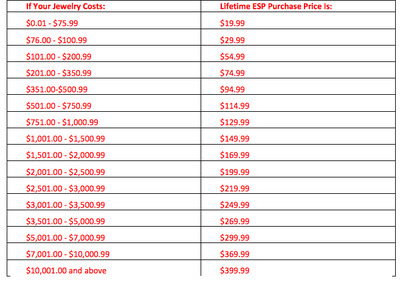 How much does an ESP sale add to an average ticket price? SIG: It is our policy not to comment on speculation. BI: Why did the company decide to go from generally accepted contractual accounting for your credit facility to recency accounting? What’s the benefit? SIG: We have consistently used a form of recency since the inception of our in-house credit program. The recency method was originally selected during a period when it was used more broadly, and was chosen in conjunction with an aggressive minimum payment requirement to best serve a retail jewellery customer by affording them some flexibility with their monthly payment while still paying off the account quickly, to allow for more frequent repurchase. Our use of the recency method relies on disciplined and strict criteria in defining qualifying payments to measure delinquency, criteria which have not changed over time. BI: If your customers make a qualifying payment of say $800 on a $1,000 payment due, would they get charged late fees on that? Would their interest go up after that payment despite the fact that they would be marked current on your books according to regency accounting? SIG: While not a realistic payment as it implies a $20K balance, if we use an $80 payment received as an example on a $100 payment due, there would be a late fee charged. The interest rate would not go up. BI: How would your same store sales be impacted if you sold your credit book? BI: Have you been contacted by the CFPB or any other government officials about customer complaints regarding debt collection, insurance or warranty mischarges, or broken or missing product? SIG: Signet is contacted by CFPB regarding debt collection on individual complaints only when submitted through the CFPB complaint portal. BI: Can you address some of the CFPB complaints regarding your aggressive collection practices? SIG: While we strive to treat each guest with dignity and respect as we work to resolve a past due account, it’s not uncommon for consumers who are unwilling or unable to make a payment to launch a complaint in an attempt to cease collection activity on a legitimate debt owed.